Bahrain's Higher Urban Planning Committee has approved the conceptual masterplan for a large-scale waterfront development project stretching from the King Faisal Corniche in Manama to Muharraq. 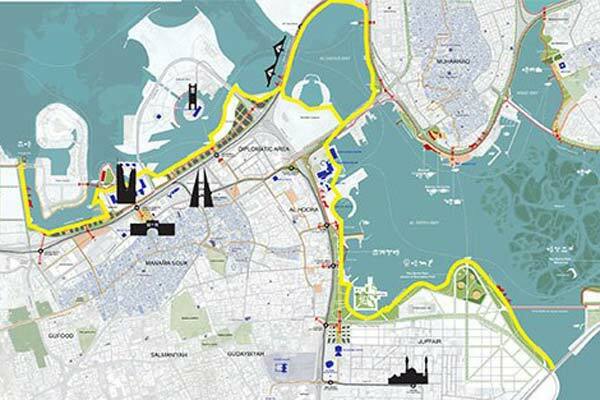 The masterplan includes a detailed proposal to develop a 14-km section of waterfront between Juffair and the King Faisal Corniche, a Bahrain News Agency (BNA) report said. The committee is chaired by HRH Prince Salman bin Hamad Al Khalifa, the Crown Prince, Deputy Supreme Commander and First Deputy Prime Minister. The new waterfront development concept features a wide range of facilities for citizens and residents, including public beaches, walkways, green spaces, and restaurants, as well as cycling and running facilities, the report said. The project represents the latest example of the vital role played by the Higher Urban Planning Committee in delivering sustainable urban development and expanding public facilities to meet citizens’ aspirations, in line with HM King Hamad’s vision, said the report. The Higher Urban Planning Committee has prioritised the waterfront masterplan as an important opportunity to integrate Bahrain’s natural environment within modern, high quality development, it said.